The 2016 general election in Minnesota saw every single seat in the Legislature up for grabs--201 seats in total (67 seats in the Senate and 134 seats in the House). During the 2015-2016 biennium, the House of Representatives was controlled by the Republican Caucus with a 12-seat margin. 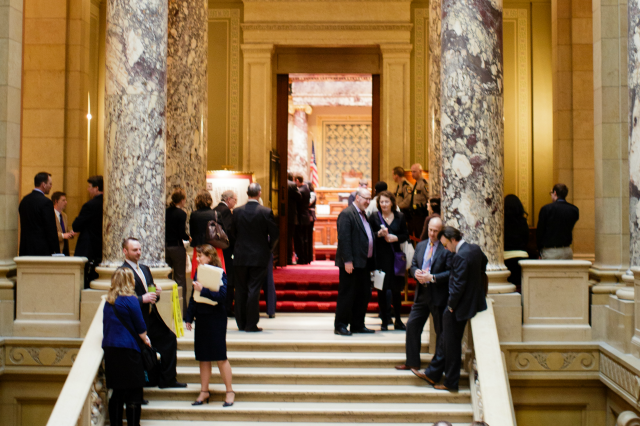 The Senate was controlled by the DFL Caucus with an 11-seat margin. The Republican Caucus retained control of the Minnesota House of Representatives and increased its majority from 73 seats to 76 seats (with a special election in February to decide a vacant seat in District 32B).That seat, which leans Republican, would further expand a Republican majority to 77 seats. In the Senate, the Republican Caucus gained 6 seats which flipped control of the chamber from the DFL. The Republican Caucus now has a 1 seat majority at 34 of 67 seats. Tomorrow, the Senate Republican Caucus will meet to begin the process of electing a new Senate Majority Leader, President of the Senate, Chair of the Finance Committee, and Chair of the Taxes Committee. Given the 2016 election results, both chambers of the Legislature will be in Republican control for the upcoming 2017-2018 biennium. The Governor's office remains in the control of DFL Governor Mark Dayton who has 2 years remaining in his term--continuing divided government in Minnesota. Minnesota's Congressional delegation remains a DFL majority with five of the eight seats won by DFL candidates. 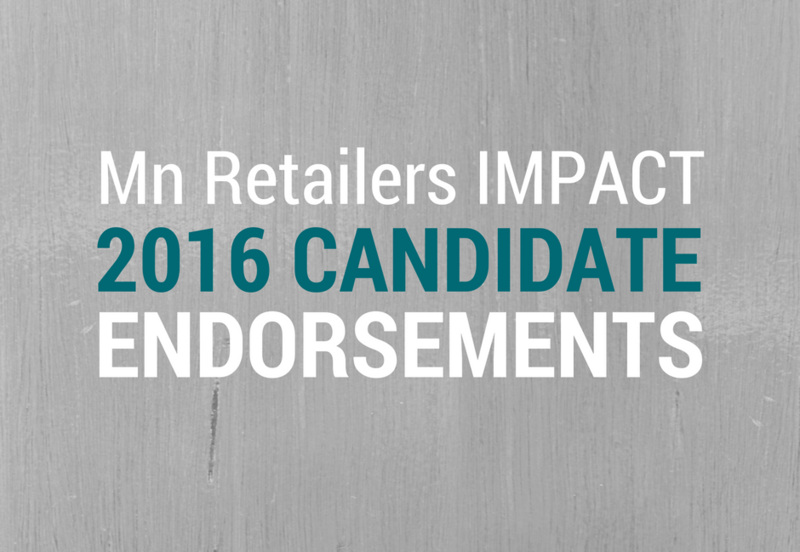 Ten of the 11 candidates endorsed by the Mn Retailers IMPACT political fund won election. Endorsed in House: Dave Baker (elected), Jenifer Loon (elected), Jim Nash (elected), Greg Davids (elected), Dennis Smith (elected), Roz Peterson (elected). Endorsed in Senate: Ann Rest (elected), Julie Rosen (elected), Paul Gazelka (elected), Paul Anderson (elected), Vicki Jensen (lost election). The election produced the addition of newly elected legislators and the retention of incumbent legislators that demonstrate an appreciation for what the retail industry offers Minnesota's economy and understand the importance of the 788,000 jobs supported by retailers across the State. It remains to be seen whether the legislature will meet in a lame-duck special session to find a solution to the healthcare premiums situation and an agreement on a bonding or tax bill prior to the start of the 2017 legislative session. “These candidates have demonstrated an appreciation for what the retail industry offers Minnesota’s economy as the industry supports 788,000 jobs across the State. Each endorsed candidate is a champion for Minnesota consumers, retailers, and our communities,” said Mn Retailers IMPACT treasurer Bruce Nustad. Mn Retailers IMPACT is funded through personal contributions used to support candidates who appreciate retailer contributions to Minnesota communities. Holidays and hiring! Share your outlook with MnRA. Last year 100 retailers across Minnesota gave MnRA a good look at what they expected over the holiday season and into the new year. That perspective helped MnRA tell the story of retail to the media and legislature. As we prepare this year’s Retail Outlook Survey results for presentation at our Thursday, October 13 Annual Meeting, could you please take a moment and take our brief survey? Your thoughts would help us round out the results. Help us tell retail's story again by completing our quick eight question Retail Outlook Survey now!